This section contains lots of personal opinions, but if you're familiar with curling you should be used to that! curlers! However, here is our opinion about equipment. 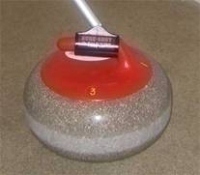 ice detracts severely from the game of curling. gloves, with good grip, preferably leather. comfortably and for temperatures of approximately 0°C or 32°F.